Search engine optimization is vital as it will help you in getting your site to rank top on search results. What does that mean? It will automatically drive more traffic to your website, which can be interpreted as more conversions and sales. The mere fact that you just got started with SEO will not make your brand successful. There is more to it. There are certain basics that you need to work with for you to witness best reports on serpbook.com. Optimizing your website is important as it is the only way that search engines will get to index your website easily and quickly. The following are essential tips that you need to consider when optimizing your site. Try to make your site as relevant as possible. Remember that search engines are focused on being able to be helpful to the user. Relevant content will be able to answer questions ranging from the simplest to the more complex ones. The relevancy will mostly be in light of a searcher’s location, date and their search history. You cannot afford to miss out on internal linking. It is one of the most effective methods of link building. More so, it enhances a site’s navigation: which contributes to better ranking. Provided the links are relevant, they will provide more reading options for your visitors making them stay longer in your site. Internal linking will also contribute significantly to your site ranking for particular keywords. Last but not least on internal building, is that it allows the Google bot to easily crawl your website, which allows them to have a comprehensive idea of what your site is about, thus contributing to better indexing. First impression is crucial. More so, in SEO. Meta descriptions and tags give you the chance to heighten the likelihood of a searcher to click on your website. It is for this particular reason that you need to give them extra attention. It is what a visitor will come across first before proceeding to your website. What that means is that they are relevant to the headline and content too. Make sure that relevant keywords are included in your Meta descriptions and tags. Also, avoid typos and errors, otherwise you will be judged. If you can, incorporate a call to action to further compel your audience to visit your site. Leave turning of the comment section to celebrities. Your brand needs it. Seeing that the audience spares some time to share their thoughts on a piece in your website speaks volume about the type of engagement you have from your audience. Do not be afraid of critics, they will have a positive impact on how you do things majority of the time. You can use their opinions to make amends that will in future work for your brand. More so, positive comments will keep you motivated and on the know of what you are doing right. If you are not started, it is about time you embarked Social media marketing. It is the most certain way of increasing your site’s visibility without having to go through the technicalities of SEO. Make sure that you are on the right social media platforms and know your audience and their online behavior. Once you understand the two, create the most genuine engagement and customer support if need be. That way, your audience will identify with your brand and it will get authority. Do not also forget to be as active on the platforms as you can be. Keep your audience entertained! Something that you may not be aware of is that the headlines should not be more than 55 words for them to be able to completely be visible. More so, they should be very descriptive, attractive and snappy. However, an offence that you should not at all commit is promising something in the headline that you are sure of not delivering. Click baiting is not cool. Also, your permalink does not always have to match with your headline. Google also allows you to use up to four important keywords. Remember that Google cannot always see the images you post but will always read thr alt text. Describing your images accurately will go a long way in making your image appear in Google Image Search. Ensure that as you upload your image, you include the alt attribute. Purpose to create evergreen content. It is the perfect strategy to improve your search ranking and also enhancing the quality of your content. Evergreen content will work for both your audience and the search engine. Evergreen content is content that works for your website for a longer extent of time. In as much as it may take more time and effort but if it picks, it is really beneficial. An evergreen article is of high quality, meets needs, has an alluring headline, is readable and does not date too quickly. Sub-directory root domains work better than sub-domains. How so? Sub-directory root domains have a better site architecture. Excellent site architecture will work well for your ranking as you will provide the users with the experience they ought to get. Also, desist from using hyphens in domain names, reason being they make they are usually considered spam. You might also want to ward off Google’s close scrutiny that mostly comes with having keyword-rich domains. It is especially if the content is not much of high quality. Domains that have keywords can be beneficial, however, you should watch your step so that you do not get caught on the wrong side. Also, it is worth noting that your visibility could be interfered with if you have a site that lacks the www. Prefix. How will it happen? A user typing with or without the prefix could be redirected to your site, or lack thereof. What is schema markup? It is a semantic vocabulary that you can use in your website to make Google generate more informative results for the users. Also, including schema markup to the html of your website will make your pages more attractive. Your search results will in turn have higher customer ratings, images, star ratings and other useful information. It is not complicated to use and most search engines like Google prefer it. Local SEO is an effective and efficient way of marketing your brand on an online platform. The catch is that it helps businesses to promote their products and services to local audiences at the exact time that the particular audience is searching. Business directory and search engine ranking are some of the strategies that local SEO employs. It is a smart strategy as there are millions of customers that prefer using local searches to track down the best businesses within their locality. By working with local SEO Company, you will increase the chances of your business being found by these customers. Remember that targeted marketing approach is a very effective one: it is what local SEO will do for your brand. Local SEO services that the local SEO companies offer include website ‘localization’, citation building, managing reviews and ratings and getting quality backlinks. Local SEO has great return on investment that you should consider bankrolling. Finally, it is worth mentioning some of the practices that search engines do not condone. These are called black-hat. What are they really? 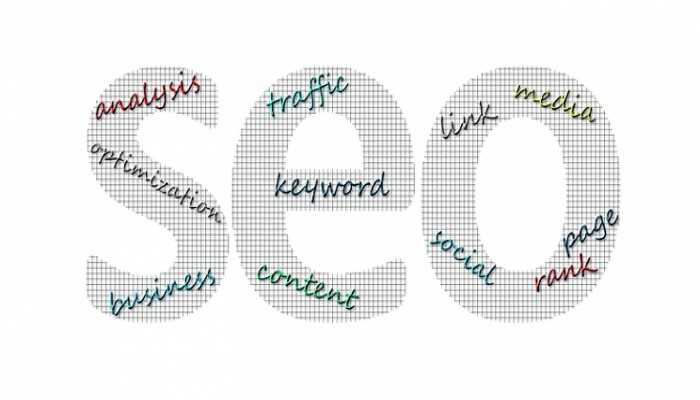 They refer to aggressive SEO practices and techniques that are only focused on impressing the search engines but are not helpful to the user. Such practices could attract heavy penalties from Google, which may send your honest efforts to the drains. Some of these techniques include keyword stuffing that basically describe the overusing of keywords that may not necessarily be of relevance to the content to influence ranking: although this strategy no longer works with Google. Link buying is another vice you should stay away from as it is not even beneficial for your site, which it means it is not worth your spending. There is also no need of having a bucket of ads that only interrupt the user and slow down your site: the search engines will not take this kindly. Keeping the mentioned points in mind and adhering to the best practices will make your journey worth your while and reap you long-term benefits.